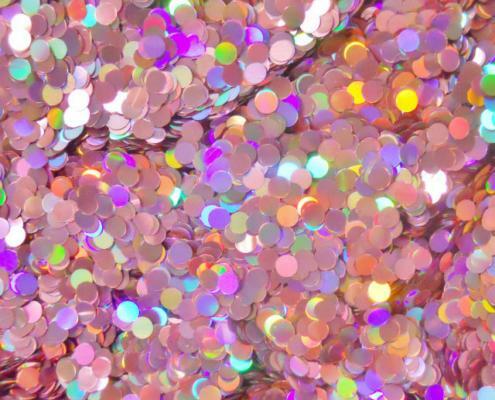 Holographic glitter, also name as laser glitter, is formed by holographic film treated by vacuum plating, high temperature coloring and machinery precise cutting in order. 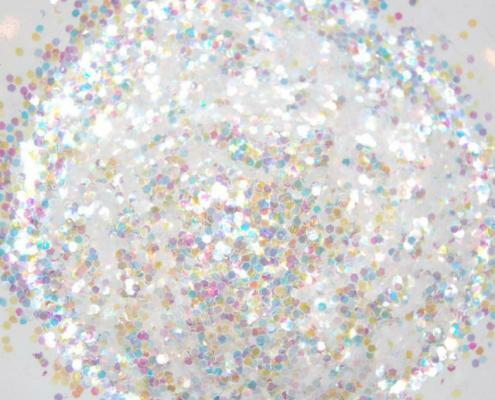 In fact, there is a big difference between holo glitter and polyester glitter. 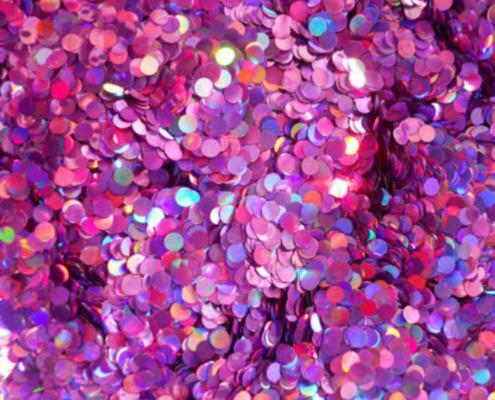 There is a micro embossed metallized polyester film, which used to precision cut into Glitter Flakes. 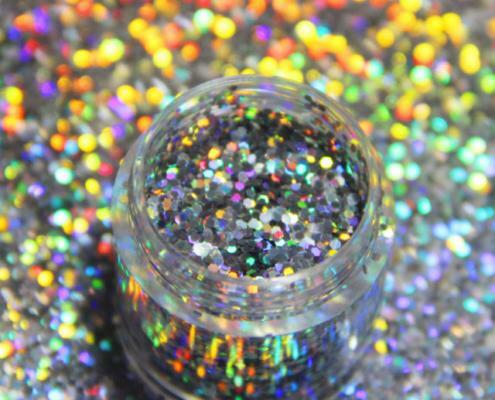 The Holographic reflection is obtained by the reflection of light giving a kind of changing colour effect to the glitter.